My fears about the joining together of pieces, weaving in of ends and sewing together of the sleeves and sides were unfounded. Next up, the pattern suggested adding a crochet edge, buttons and buttonholes. It’s been a while since I crocheted, so it was lucky that I had my weekly lunchtime pub craft date with ThePolkaDotGiraffe. I was soon on my way. 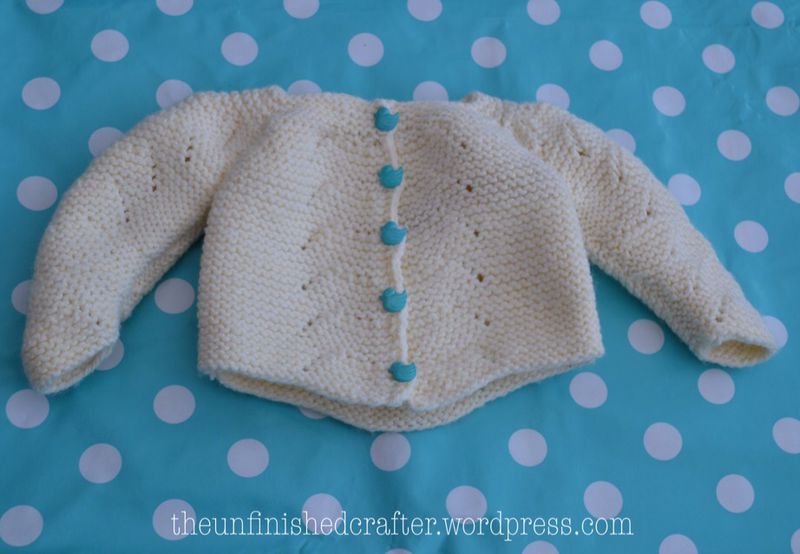 This cardigan is intended for a friend’s baby. She is due next week. So, for regular readers, something amazing has happened – I’ve finished something ahead of schedule! She doesn’t know if she’s having a boy or girl, so I needed to choose some unisex buttons. I was going to go for yellow ducks, but then I stumbled across some teal ducks in John Lewis and had to buy them. Anyone who knows me, knows my love of the colour teal. My mother in law calls it ‘Kate’s colour’. So, buttons purchased in ‘my’ colour, I finished the cardigan last night. I’m really pleased with how it’s turned out. It’s no exaggeration to say that I’ve found the pattern (Garter Stitch Cardigan from Lullaby Knits) challenging. I started knitting this in June and have taken several breaks from it, and almost thrown in the towel. I’m glad I persevered and confronted my fear of knitting things that need sewing together. 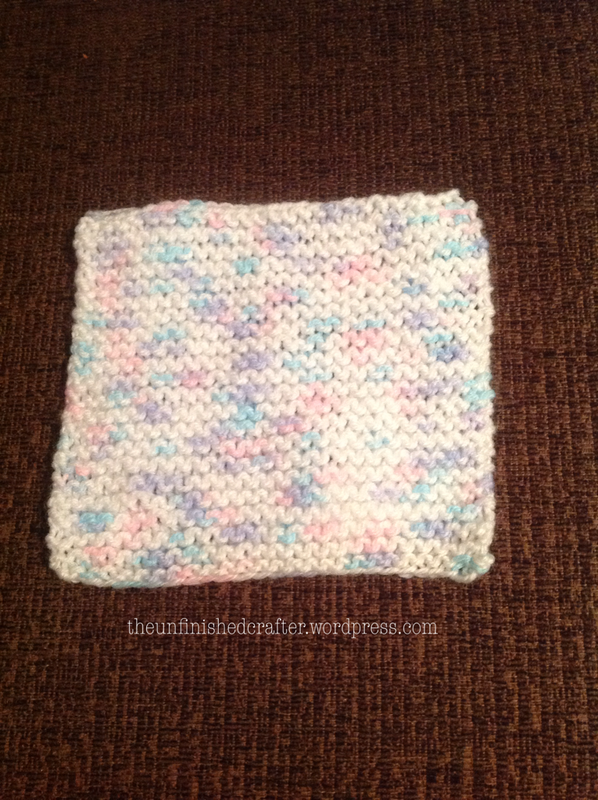 I may even make another for a friend who is expecting a baby next month. From a success to a failure. A colleague recently offered up cooking apples from her garden, and I ended up with a bag of 20 apples. Having made two of my trusty Dorset Apple traybakes (which always go down a treat in the office), I was on the hunt for other apple-based recipes. 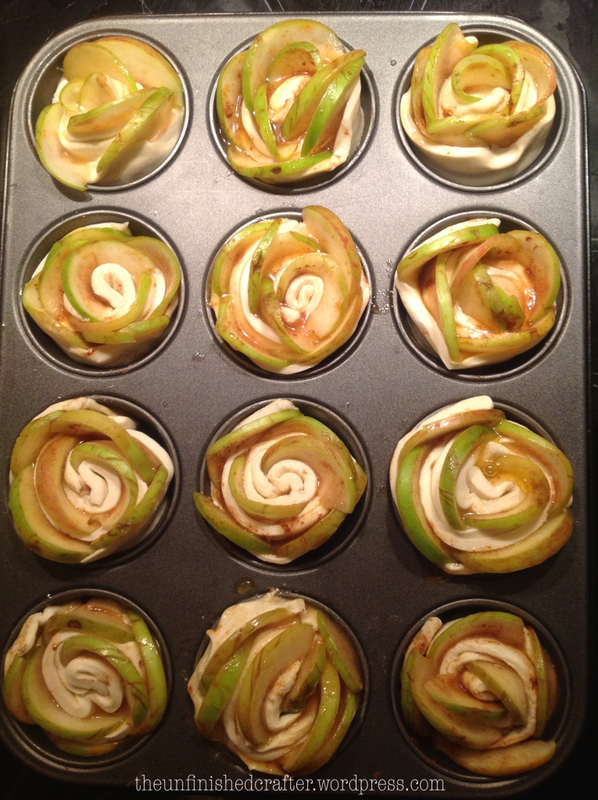 Apple rose cupcakes were suggested to me, I think these are a bit of a trendy bake at the moment. 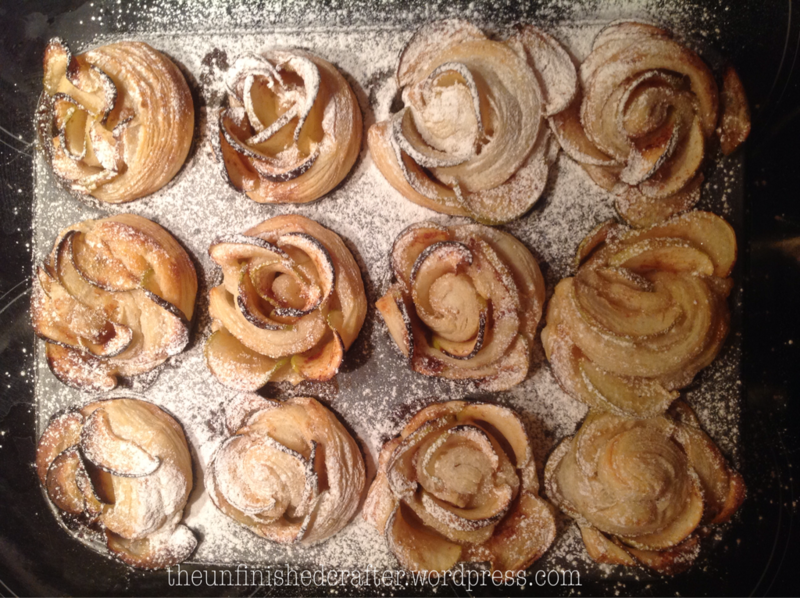 These are a puff pastry dessert in which very thin slices of apple are rolled to make a rose effect. 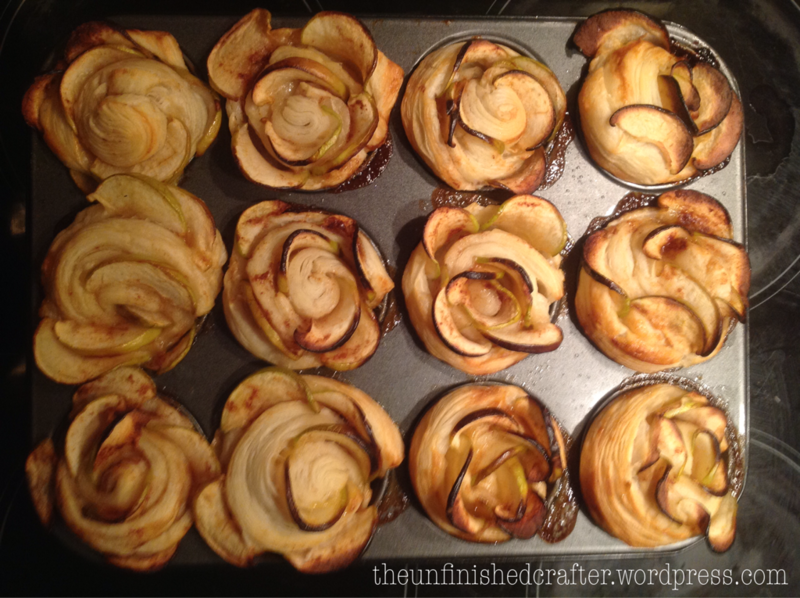 I made two errors: my puff pastry was too thick and my apple slices weren’t thin enough. They didn’t look too bad before going in the oven. Generously dusted with icing sugar. 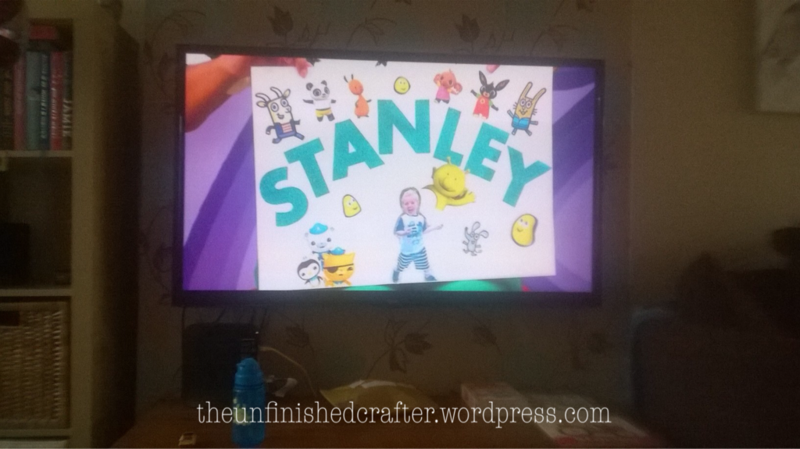 To end on a happier note, the birthday card I made to appear on children’s TV for my son’s birthday made the cut! His card featured on CBeebies today. Whilst my now 2-yr-old was somewhat ambivalent to this momentous occasion, I was beside myself with excitement. That’s all from me for now. Do you have a recent success or failure you’d care to share? 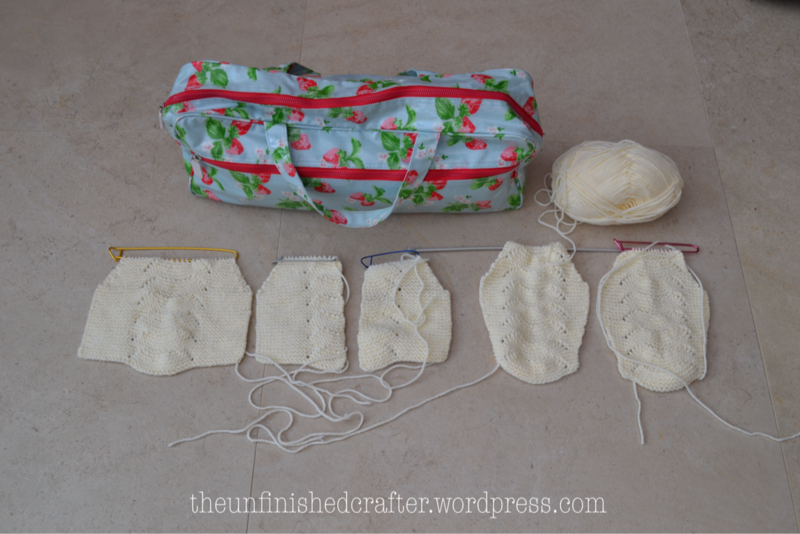 Now, where did I leave things … I had started knitting the first sleeve of the garter stitch baby cardigan I started back in June. Hence the title of this post 😊. 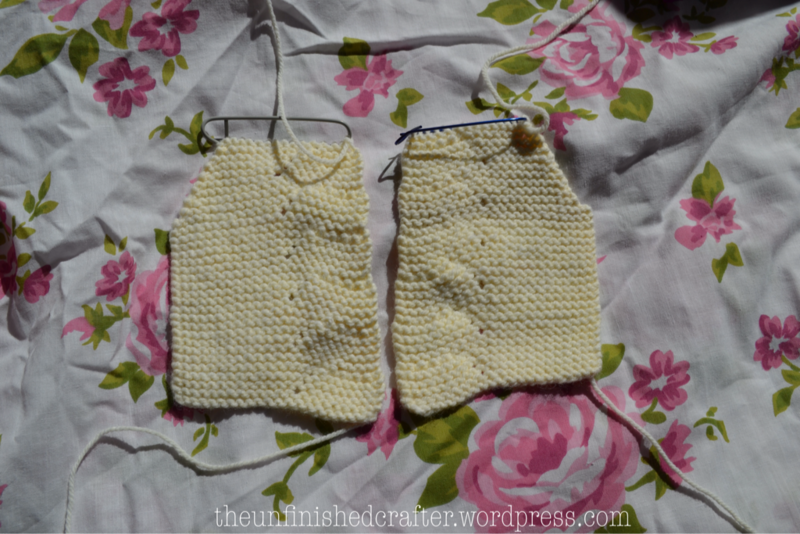 Well, nearly a month on, I now have two sleeves knitted. So, next up is putting it all together. Gulp. 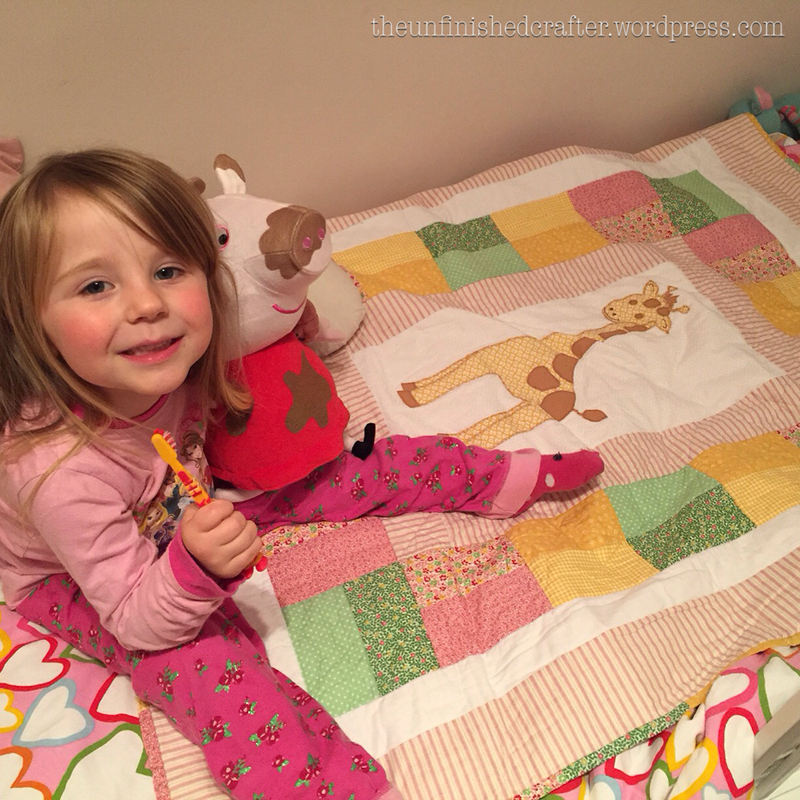 Time to procrastinate – my usual approach when I don’t know what to do next. 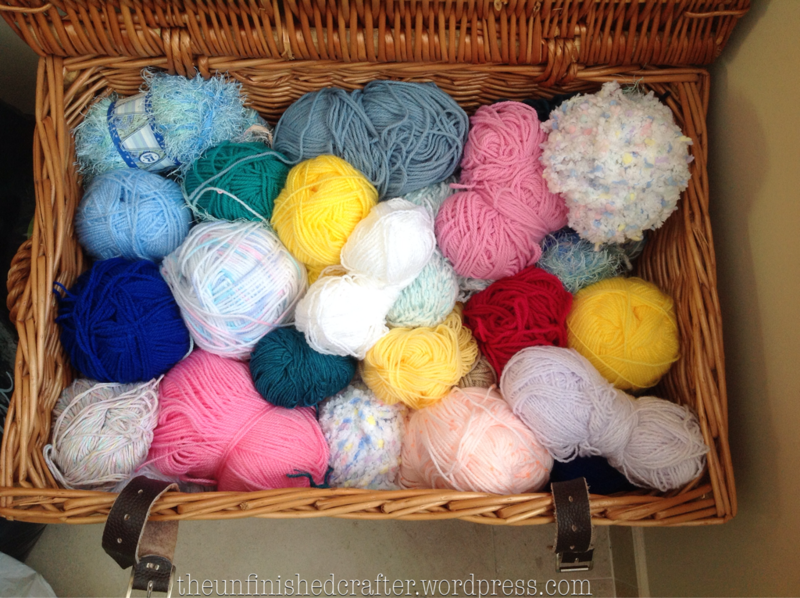 Oh, and I need to weave in the ends too. Another thing I hate doing! So, I’ve started work on a secret project. Also of the knitting variety. I don’t think said recipient reads this blog, but just in case, I shall keep schtum. This is as far as I’ve got. 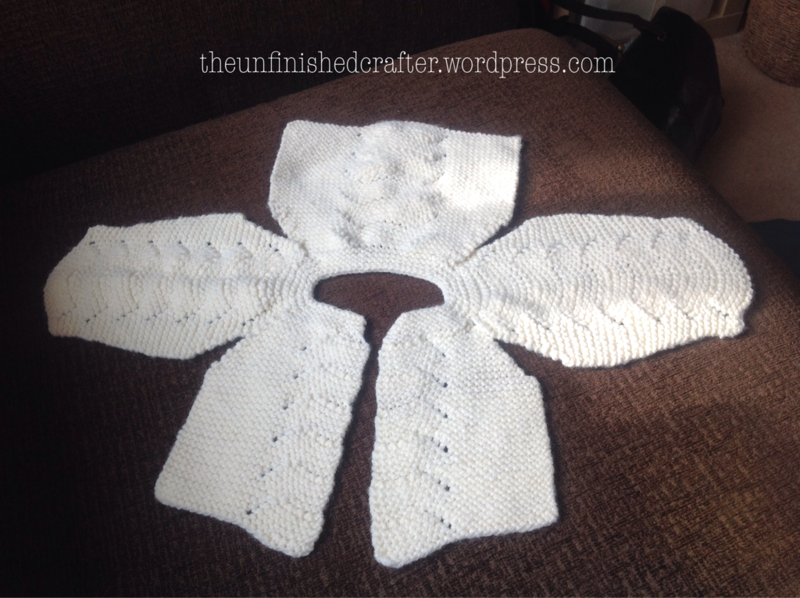 The deadline for this is next Fri, and then I’ll have to return to confronting my cardigan-assembling fears. I’ve also been baking again. 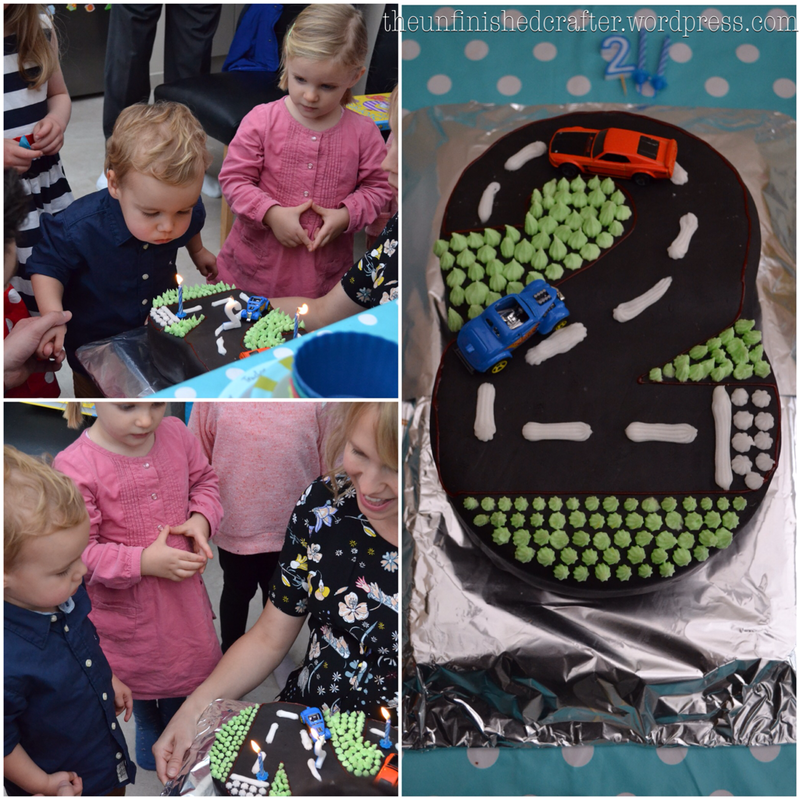 My son turns two in a couple of weeks and we’re now at the tail-end of five 2nd-birthday parties in the space of three weeks! Today, he had a joint party with 7 of his friends. Ideal, as we split the cost of hiring a brilliant venue near us called Little Street, which they then had the run of for 90 minutes. It is exactly as it’s named: a little street containing a mini supermarket, beauty salon, cafe, doctor’s surgery, building site, etc., in which the children can play. 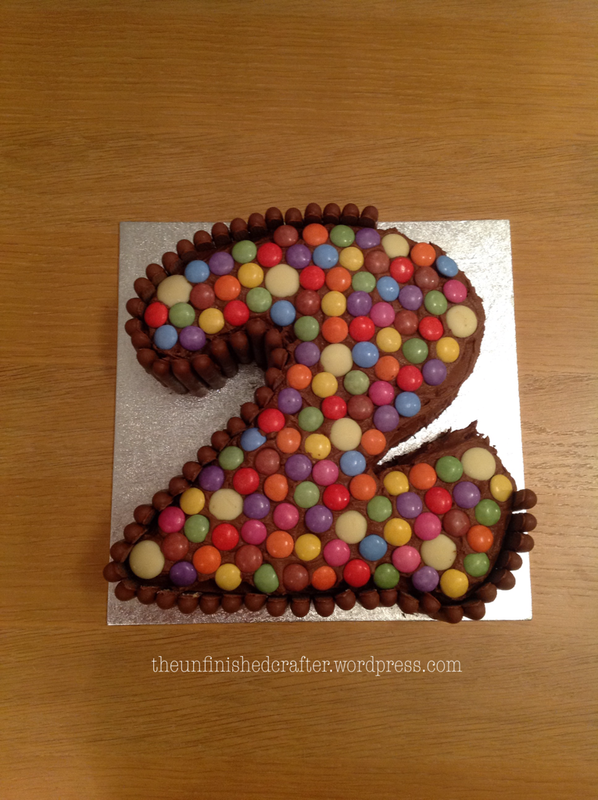 Anyway, I made the birthday cake for the party, utilising another of the number moulds my mother-in-law bought me. 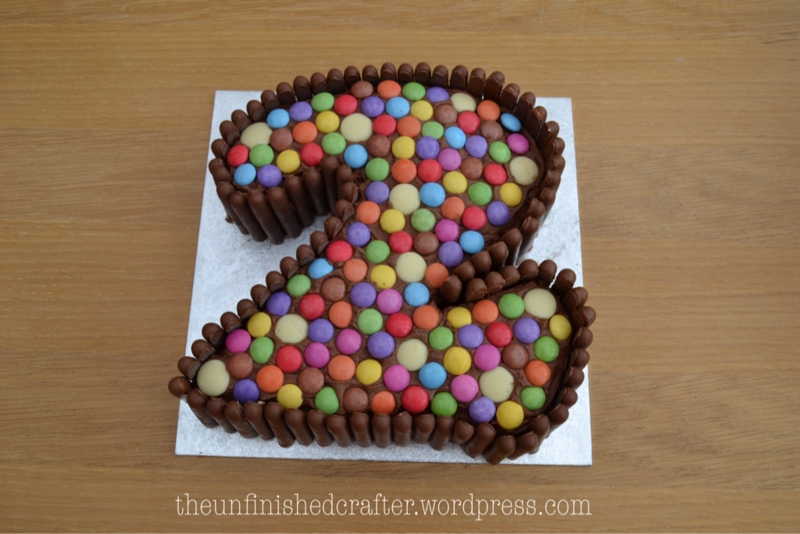 I made a chocolate sponge, iced it with chocolate buttercream and began decorating it with chocolate fingers, Smarties and white chocolate buttons. But, disaster struck. 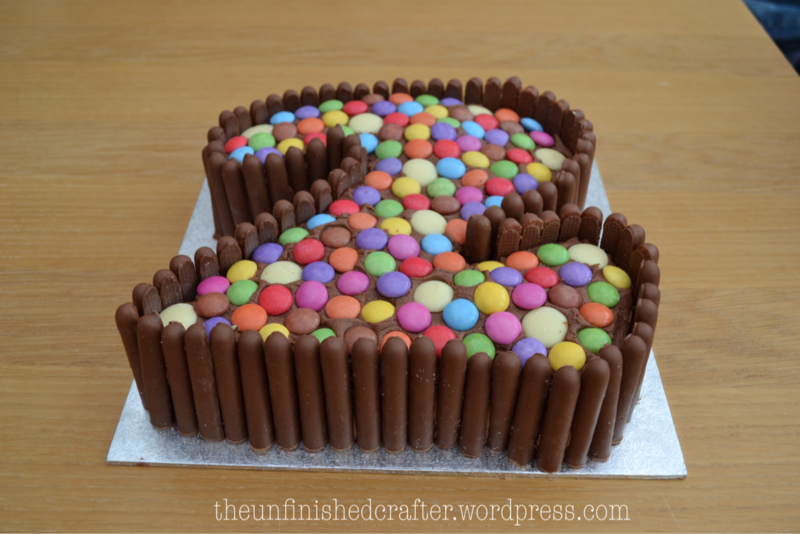 Last night, three packets of chocolate fingers later, I was only two-thirds of the way round the cake. And I was home alone with my son and couldn’t persuade anyone to do a chocolate fingers mercy dash for me. I bought another three packets this morning and finished it off, using a touch of hot water to melt the icing a bit to make them stick. Voila! I had to cut the chocolate fingers down a bit as my sponge wasn’t very well risen and they looked a bit silly at full height. As an end note, a friend sent me this earlier, she said it reminded her of me! As an editor, the lower-case ‘I’ very much bothers me, but I like the statement. 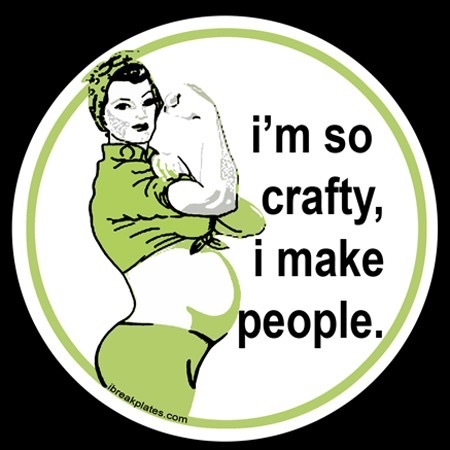 I’m currently 24 weeks pregnant and feeling the time pressures of finishing up a variety of craft projects before baby no.2 arrives I never have free time again. 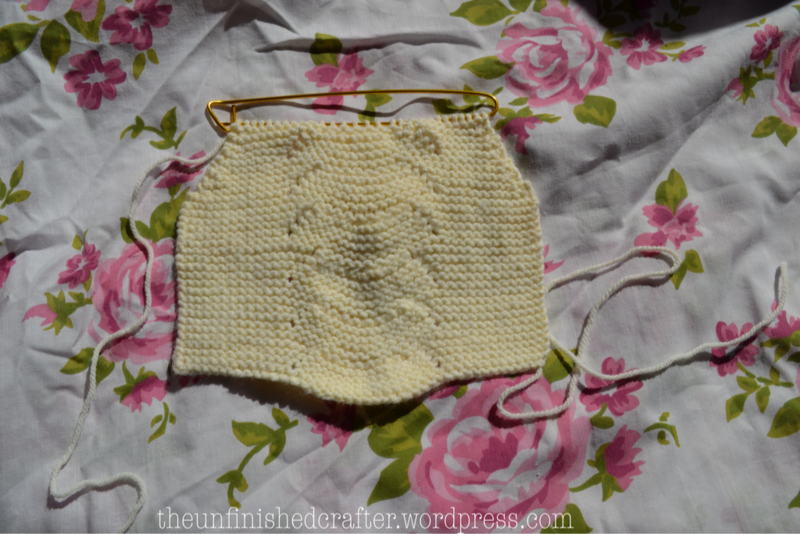 I got off to a frustrating start when I couldn’t work out how to ‘continue knitting in pattern’. Having put out a cry for help on my local craft group’s Facebook page, I was soon on my way again and finished the back of the cardigan. And then knitting got put firmly on the back burner while I was making all things wedding-related for my friend’s wedding. 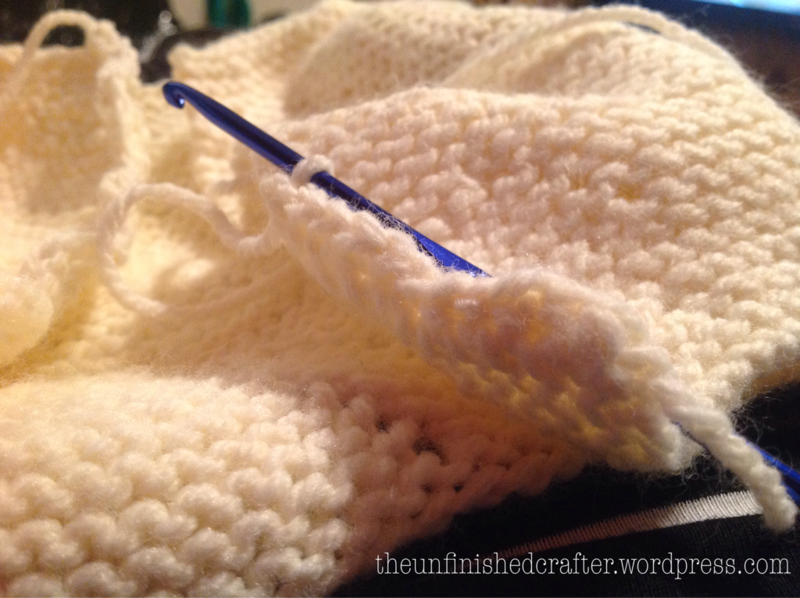 Now, I’m back on it, I ran into problems again when knitting up the fronts of the cardigan. It was the knitting in pattern again that I struggled with. Even more so the fact that ‘stitches made and lost in the pattern are not included in the stitch count after row 12’. Kept getting my sums wrong and having to unpick and start again. But, I worked it out in the end, and the left front of the cardigan took much less time than the right. 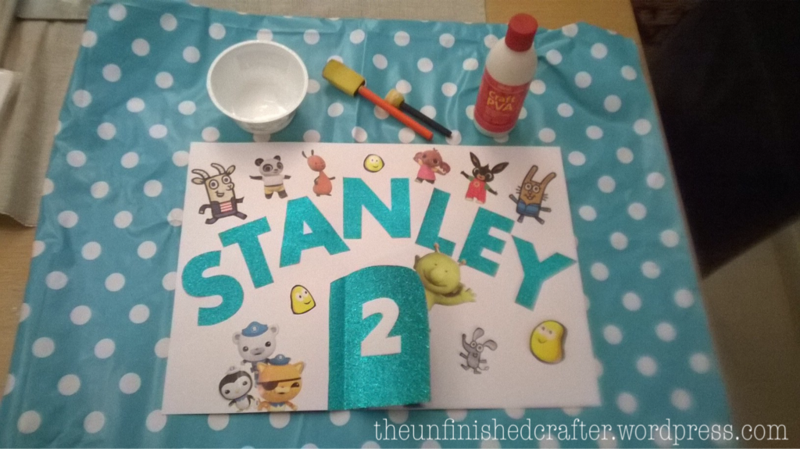 Meanwhile, I’ve also been busy making a birthday card for my little man’s upcoming 2nd birthday. It’s now been sent off to CBeebies (a children’s TV station for non-UK readers) to arrive well within their required deadline (at least a month before the child’s birthday). Only half the cards that get sent in get shown on air, so I don’t rate my chances. Last year, I submitted the card less than a month before his birthday and it didn’t make the cut. That was a much better card too in terms of the efforts that went into it. 😫 This year, I’ve gone down the easy cheat’s route of buying a magazine and cutting out pictures of his characters, rather than creating them myself, as I did last year. Lazy Mummy. However, I did include a door, behind which there is a photo of the man himself. They love a photo hiding behind a flap on CBeebies, so fingers crossed it makes it on TV! I gave Little Man a sneaky peak before it went in the post as the cards don’t get returned. 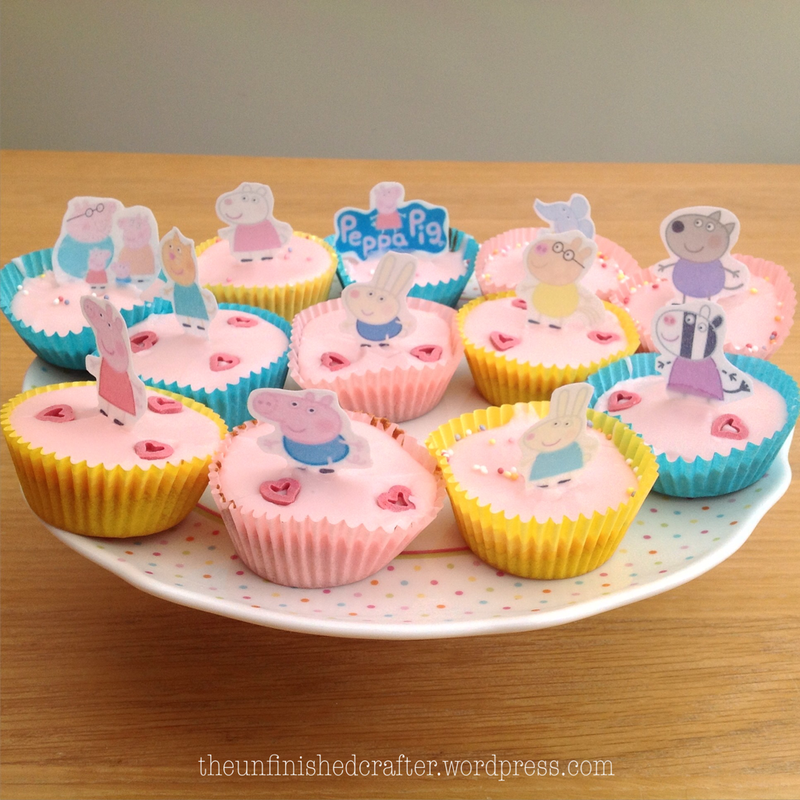 Oh, and I also made some Peppa Pig-themed fairy cakes for a 2nd birthday party last weekend. I’ve saved 12 cake toppers as I have quite a few nieces and nephews who are Peppa Pig fans. He’s car mad, so it had to be car-themed. I found this photo on Pinterest which I thought I stood a chance of replicating. I baked the two sponges Friday night. I only have one 8″ cake tin, so I had to bake them one at a time. At 1hr 15 mins baking time, it was a late night. On the plus side, I discovered a new attachment for my Magimix, a dough blade and the sponges rose better than when I’d made them previously. Saturday night was decorating night. I trimmed and halved each sponge, then sandwiched with buttercream and jam before coating in apricot jam to help the icing stick. Dead on my feet, I couldn’t decide whether to plough on with the decorating, or go to bed. I ploughed on until I ran out of icing sugar. 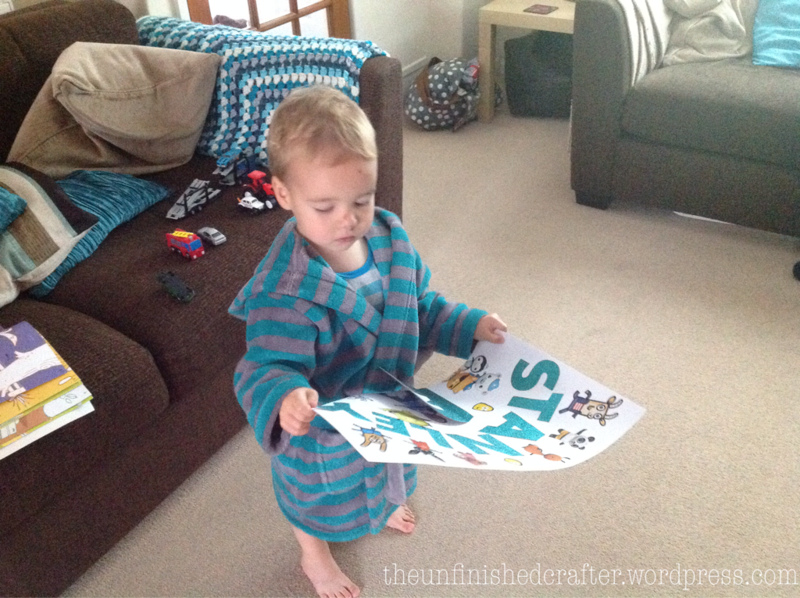 Once my little man had gone for his nap today, I was back to it. I couldn’t get the consistency of the icing right and so had to abandon the star shapes for the grass, in favour of just bunging the green icing on. Not a patch on the Pinterest version, but not a failure like my scones! Lacking a big enough cake box or cover, I came up with the perfect solution – which fitted the theme perfectly. The birthday boy seemed happy enough, which makes it all worthwhile. All this baking has taken me away from the memory bear. I’ve also had a rethink on the colours and the new colour scheme works much better I think. No teasers, you’ll have to wait to see the finished bear.